The submandibular fossa a.k.a. 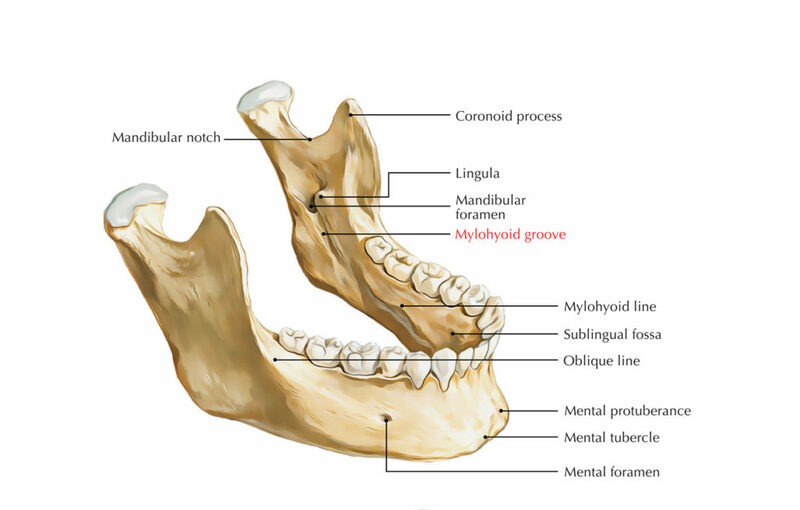 the mandibular fossa or submaxillary fossa is structurally a concave, recessed area of bone. The submandibular fossa is found among the body of the mandible and both bellies of the digastric muscle. The mylohyoid, hyoglossus, and styloglossus muscles create the medial wall of the fossa. The submandibular gland is found in the sub-mandibular fossa, which is consecutively enclosed via the superficial cervical fascia.